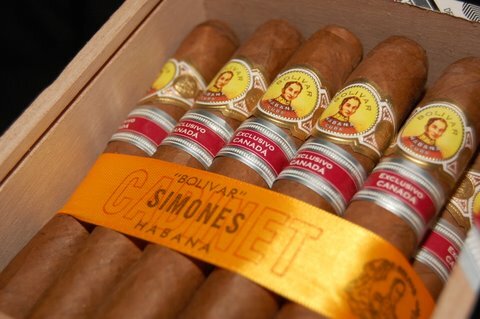 Simones - Exclusivo Canada (L.E. 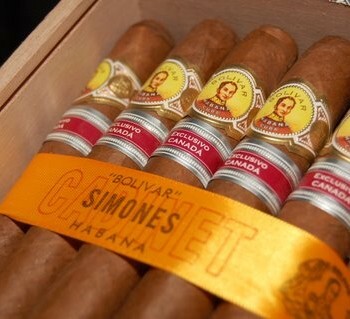 '08) | Old Morris Tobacconist Victoria BC, Fine Cigars, Humidores and Tobacco Merchantile. Pick this cigar if you really want to stand out in the crowd. A 48 ring thick-gauge beast, the Simones brings rich tones of leather and earth with full-bodied riffs of coffee bean and leather. Sheer Bolivar genius.